Often during pet loss support groups, clients mention how deeply they appreciated receiving a condolence card from their veterinary clinic after the loss of their pet. This thoughtful act validates that you care about the special bond your client shared with their beloved pet. Sending a sympathy card brings comfort and builds client loyalty. Sympathy cards can be purchased in catalogs and online, they can be custom created, or sent on your behalf when a donation to a favorite charity is made in the name of the deceased. When sending a sympathy card it is often difficult to know what to say or how to phrase your thoughts and feelings. It is best to use the pet's name, instead of referring to the pet as "your dog" or "your cat". If you have a specific fond memory or trait that sticks out in your memory, mention it in the card. I have been told that receiving cards with personal notes helped them in their healing journey. 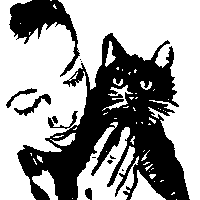 It warms their heart to know that your staff holds their pet's memory in their hearts. If you have photos of the pet, include those as well. May the memories of your precious (name) soften the sadness in your heart. We are so sorry for the loss of your sweet boy/girl, (name). He was a beautiful (species) and clearly a much-loved member of your family; we know he will be missed. Our thoughts are with you at this sad time. Wishing you comfort for the loss of (name). With deepest sympathy on the loss of your beloved friend, (name). We are deeply saddened by your loss of (name). We hope your fond memories of (name’s) life will help you through your time of grief. As you grieve know that we are remembering you and honoring the memory of (name). Sent with love and remembrance, our hearts go out to you in your time of sorrow. (Name) will remain in our hearts forever. We send you thoughts of sympathy and comfort. Words seem inadequate to express the sadness we feel about (name’s) death. We are here to support you in your grieving process. With sincere sympathy, (your names). We try and get our condolence cards out as soon as possible too (within days). I think it helps the client and family heal faster. That way they don't have to relive the experience a month later, etc. We like to send out sympathy cards and a memory rose within the next week. Flowers also seem to help a healing heart. We send out sympathy cards right away. Whenever possible we make paw prints with a black stamp pad and then attach them to decorative paper and include in the cards. Our clients have really appreciated them over the years. Once you get the technique down, it's a pretty quick thing that means a lot to clients. I've always known that sending out letters is really meaningful for owners but didn't realize the impact until I had received one from a hospital that I went to once to euthanize a rat of mine. It was really, really sweet and put a smile on my face. We send out species appropriate sympathy cards as quickly as possible and, when the client wishes, give out a clay paw imprint. I think it is especially nice to include the names of children in the family when writing our expression of sympathy on the card.